The submission of the briefs for the preliminary conference is retained on June 16. This is the same petition date for both Bongbong Marcos and Leni Robredo camps which was initially set at five days before the original date of the preliminary conference on June 21. That is now moved to July 11, 2017. This is more of a public interest than Trillanes’ usual intimidation strategies just to ruin political enemies. 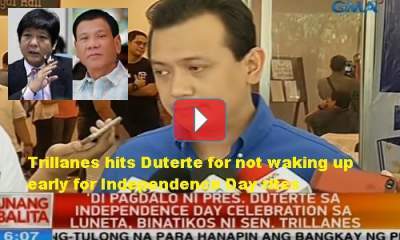 Senator Antonio Trillanes IV slams the President’s absence during the Independence Day rites at Luneta Park. He calls him tactless for skipping the official event just because he lacked sleep. Trillanes just simply takes advantage of the opportunity to criticize the hard-working leader who is very hands on to the Marawi siege. Trillanes is indeed the tactless one. It’s time to disregard a dishonorable Senator who is only out to discredit the president. On the same PET resolution, the Supreme Court grants authority to the HRET Secretary to take custody of the ballot boxes. This goes the same with the other election paraphernalia used during the May 2016 elections. This is in respect to the election protest cases pending with the House of Representatives Electoral Tribunal. HRET is the sole judge of all contests relating to the election. The PET also grants the COMELEC through the Office of the Executive Director clearance to transfer the 2016 ballot boxes. The same goes for all the files pertaining to the May 2016 elections to the New Municipal Building. However, this must be with prior notice of the date of the said transfer to the PET and the parties. 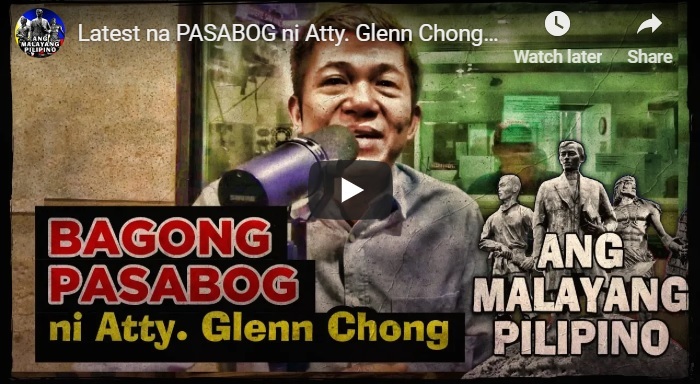 Bongbong Marcos is also notified on June 9 that a panel of 3 Commissioners to preside over the reception of evidence of the present electoral protest are appointed as per his petition. Robredo’s 24 February 2017 Motion for Reconsideration for the details of the contested areas are deferred because this is what the preliminary conference is for. That is to shortlist the agenda of the recount for a faster resolution.